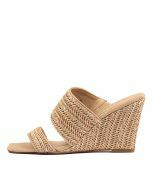 This elegantly constructed sandal will add a sophisticated finish to your looks. 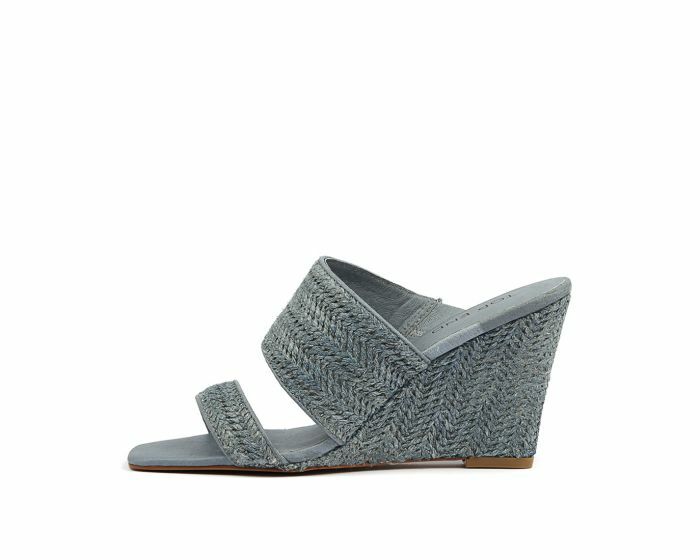 The asymmetrical silhouette flatters the foot, while the woven raffia trim offers a summer-ready feel that makes it perfect for the new season. For a glamorous yet transitional look, wear this shoe with printed dresses and bold jewellery.